Since a change in the rules a few years ago, it's now against the regulations for members of the public to cuddle koalas in Sydney and the rest of NSW. No zoo or wildlife park in NSW is permitted to allow guests to cuddle koalas. 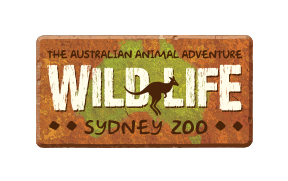 However, WILD LIFE Sydney Zoo offers guests the chance to get as close to koalas as possible, and because we have very strict rules about how often our individual animals are on display, guests can be absolutely certain that the koalas are not stressed by these up-close encounters.